Unique hand held case with recessed area for cutouts and keypads. Window with active area up to 2.56″ x 0.91″. 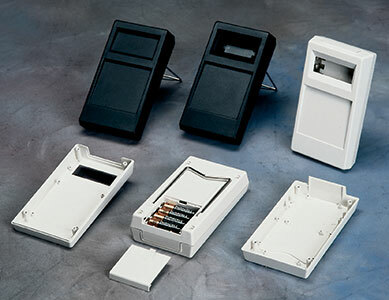 Versions with battery compartments for 1 or 2 x 9V batteries or 2 or 4 x 1.5V AA cells, Accessible from outside.